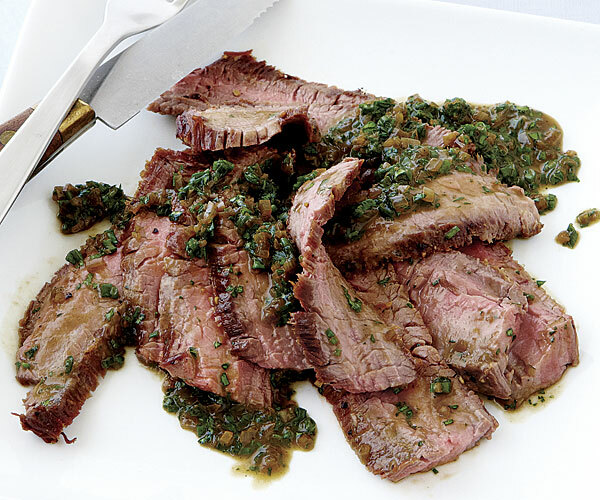 Classically made with filet mignon, this version of steak Diane uses less pricey flank steak. The beefier nature of the cut holds its own against a bold sauce featuring sherry, Cognac, Worcestershire sauce, and herbs. Pat the steak dry and season generously with salt and pepper. In an ovenproof heavy-duty 12-inch skillet (preferably cast iron), heat the oil over high heat until shimmering hot, about 2 minutes. Brown the steak on both sides, about 4 minutes total. Transfer the skillet to the oven and continue to cook until an instant-read thermometer inserted in the thickest part of the meat reads 135°F, about 5 minutes. Transfer the steak to a platter, cover loosely with foil, and let rest for 5 to 10 minutes. Meanwhile, pour off the fat in the skillet (be careful of the hot handle). Set the skillet over medium heat, add the shallot, sherry, Cognac, and Worcestershire sauce. Simmer, stirring and scraping the bottom of the pan with a wooden spatula to release any browned bits, until the sauce is reduced by half, 2 to 3 minutes. Lower the heat to low, add the chicken broth, butter, chives, and parsley and whisk, swirling the pan occasionally, to emulsify the butter; the sauce should look creamy. 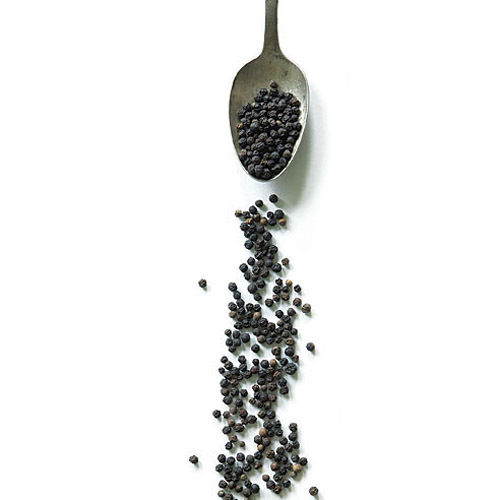 Remove from the heat, whisk in the lemon juice and season to taste with salt, pepper, and more lemon juice. Cut the steak in half with the grain, then slice the meat on the diagonal across the grain into 1/8-inch slices. Serve with the sauce. I thought this was incredibly good. The combination of shallot, cognac, butter, and Worcestershire sauce with a squeeze of lemon to cut the richness is irresistible.I did have sherry too but not sure if it was necessary. I think the classical version only uses Cognac. I used ordinary flank steak and it was excellent. I did have to cook it a minute or two longer than suggested but then it was a perfect medium rare. I expect to repeat this often. Steak was delicious &amp; tender. This was an easy week night dinner. Will definitely make it again! This steak was awesome. The flank steak came out really tender (I bought my meat at Sam's Club - and I find that they have the best flank steak compared to other grocery stores). The sauce was full of flavor - must use shallots - gives the perfect sweetness. I paired my meal with a Cabernet - was delish! Good flavour but the steak was tough. 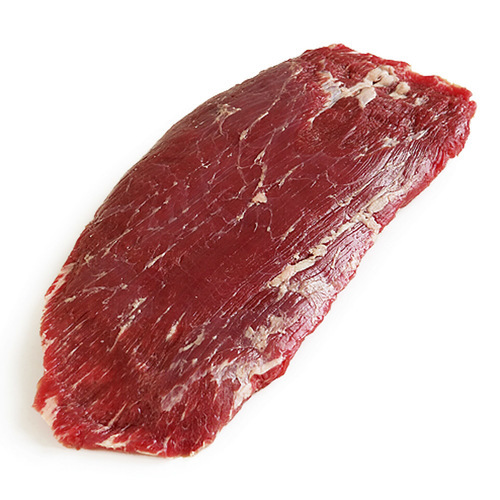 Flank steak needs to be marinated for several hours or overnight in a marinade that is acidic to tenderize it. For the amount of work and ingredients, buy a better grade of steak if you can afford it. If not,this dish is still tasty.